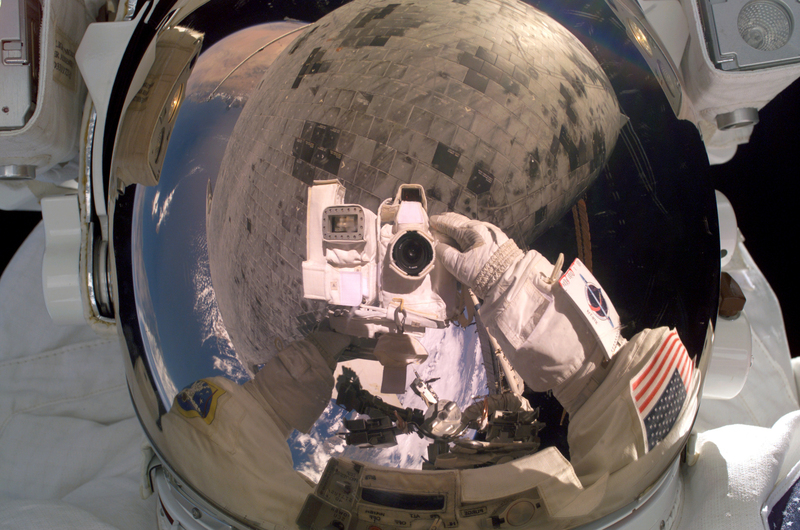 Really cool photo of an astronot with the earth and shuttle tiles(??) reflected in his facemask I have to wounder, if he knew how cool this picture would be. Since, he couldn't see the viewfinder, I doubt it. Virtual view (realtime) above the earth, from space click to pan, cool to play with, but zoom in/out is wrong. (unless we are to assume that a wider angle lense is used as you get closer) The horizion doesn't move as you decend.